idea of the day: closed cockpit F1? Well that’s interesting to wonder if F1 cars could ever be closed cockpit. This rendering was done by Iacoski and apparently inspired by Massa’s accident in 2009 where he got nailed in the head by debris! This is most probably not going to happen, the driver has to be able to leave the cockpit in under five seconds for security reasons. Stunning rendering though. Check out this foto from the 60s. David Brabham with a fighter jet-kind-of-cockpit. 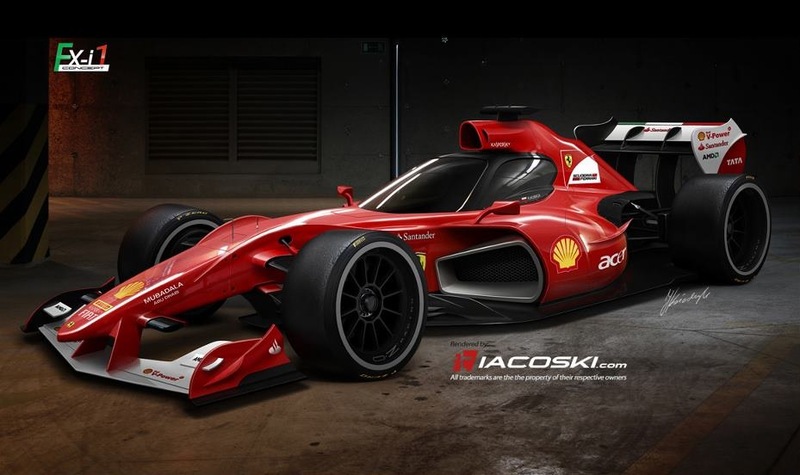 This is probably what an open wheel LMP1 car would look like. And in response to argl’s comment: I think these F1 engineers wouldn’t have any problem finding a solution to get the driver out in 5 seconds (unless when it’s upside down, but that’s also tricky these days). Rendering is nicely done indeed! I believe F1 has done some ballistics tests with canopies to explore this idea. Obviosuly driver egress is the main sticking point. I’d think something that’d look something like the Polyphony/Red Bull X2010 would be very, very much more attractive over the current hodge-podge of attrocities they field right now.